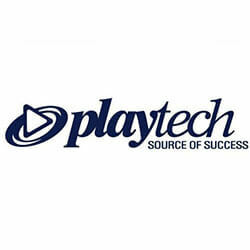 Playtech has told reporters that it has remained on track to achieve its full-year earning targets after posting results that were “consistent with expectations” during the third quarter. A trading update released by the operator for the period since the 30th of June has shown that the firm’s trading in the B2B gaming division continued to remain within expected line. Strong revenue growth was reported out of non-Asian regions. The operator stated that revenue from Asia has since stabilised at an annual run-rate of $169 million, which follows a difficult first half of the year when the supplier’s net profit dropped 34%. Blame was put on the crackdown on gambling within the Asian market, specifically Malaysia, as well as increased competition from other jurisdictions around the region. 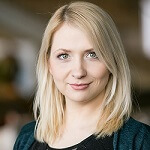 Their B2C gaming division has also shown positive returns from the first half in the third quarter, with the division, which consists of Italian operator Snaitech and United Kingdom’s Sun Bingo, trading within expectations. Playtech has also stated that underlying KPIs for its TradeTech division were mostly positive as of the report, but they noted that the market movements favoured customers, particularly in September and October. The activity in the quarter has resulted in Playtech expecting to report EBTIDA ranging between $359 million and $404 million for the entire year. They’ve also explained that their financial position remains strong, with the company finalising a $595 million bond offering to fund the recent acquisition of Snaitech.